Stainless Steel Grill, Silver Giant, natural gas grills . 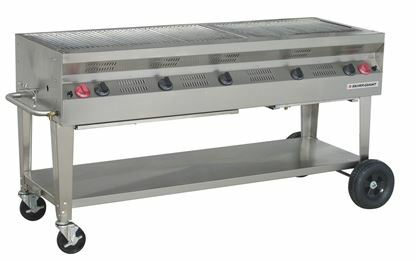 The Silver Giant grills are top quality units made to last. 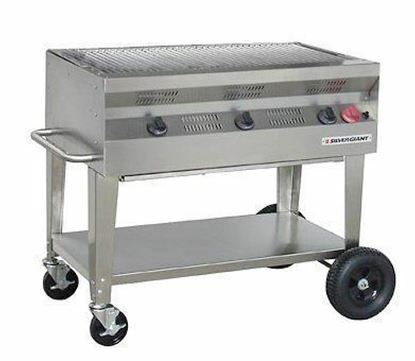 Made from durable stainless steel construction they can handle the challenges of commercial cooking applications. The larger units are perfect for large corporate functions or outdoor restaurant applications. 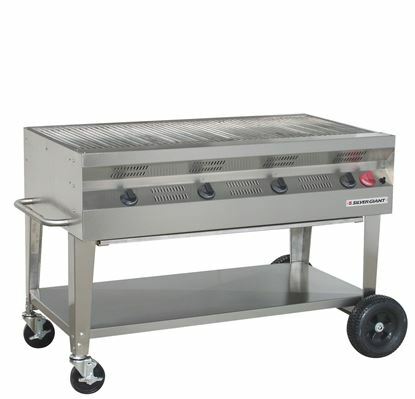 The smaller grills are great for smaller commercial cooking applications or customers that hold big parties at there home and want to be able to cook for a large family gathering. The Silver Giant grills come with the industries best BTU output per square inch of cooking surface. 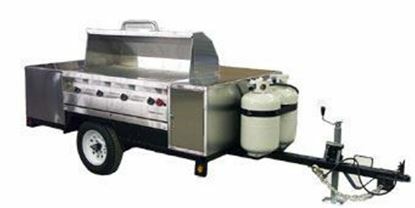 The grill is available in propane or natural gas. In addition, there are many accessories available to make your cooking experience the best. 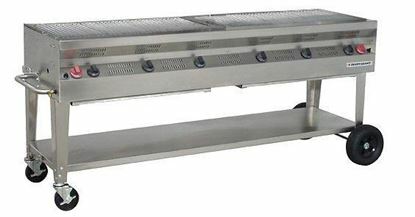 Smoker hoods, side shelves, sauce tray, front shelf, rotisserie kit, windshields and warming racks are all available to add to your Silver Giant.